Helicopter carriers provide a nation with the ability to project military power anywhere in the world. These large ships are capable of transporting and deploying helicopters, landing barges, vehicles and troops to the battlefield. 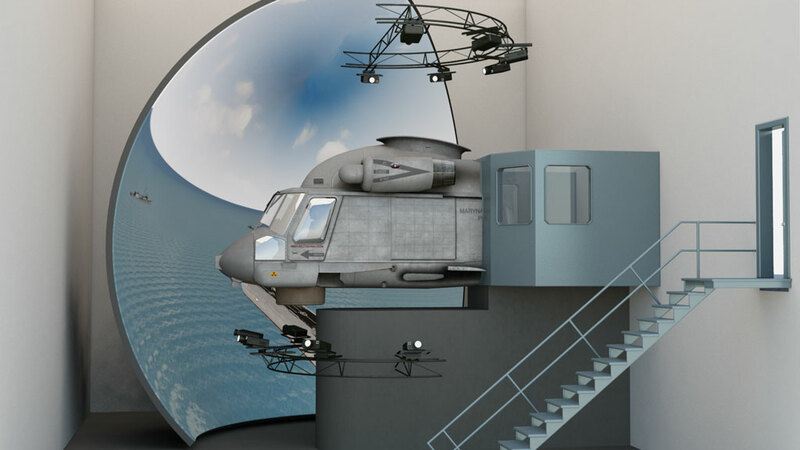 The Aviation Bridge Simulator (ABS) provides a realistic training environment for Air Officers, Air Officer Assistants, and Air Traffic Control personnel operating on the helicopter carrier. The system supports a complete training cycle, starting from the basic fundamentals for entry level students up to advanced instructions for experienced personnel. 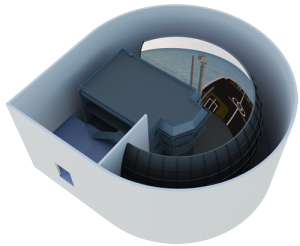 The ABS can be configured to represent a specific class of helicopter carrier for more specialized training. 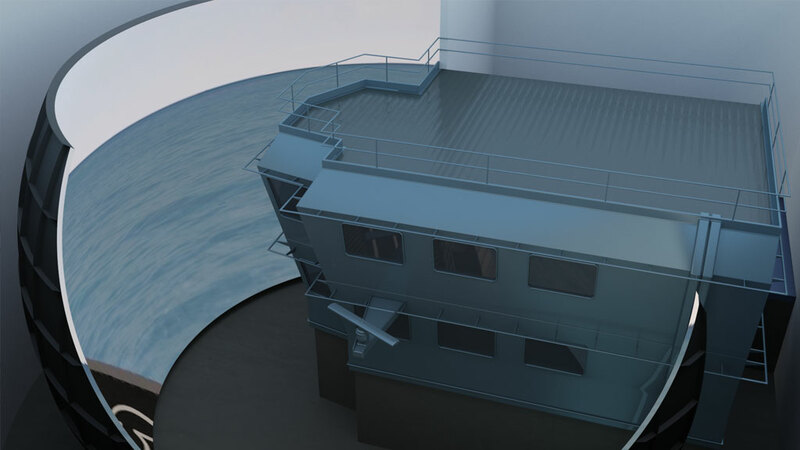 The ABS provides training in a full immersion, high-fidelity simulated aviation bridge of a helicopter carrier, in a unique two-story structure that supports simultaneous training of Primary Flight Control (PFC) and Air Traffic Control (ATC) personnel. 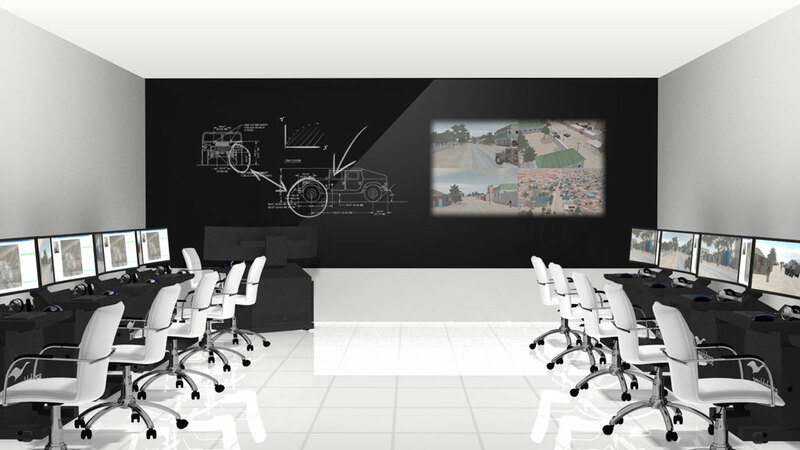 From PFC of the Aviation Bridge, the Air Officer and Air Officer Assistant students will have access to simulated communications equipment and graphically and functionally representative stations. ATC students located in the ATCC of the Aviation Bridge will have access to simulated communications equipment, radar stations and other ATC equipment.